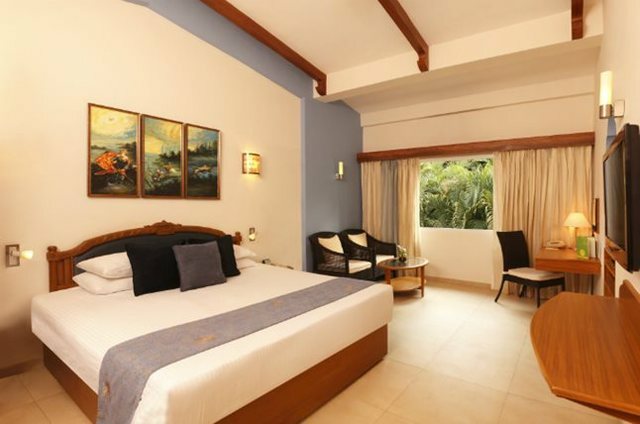 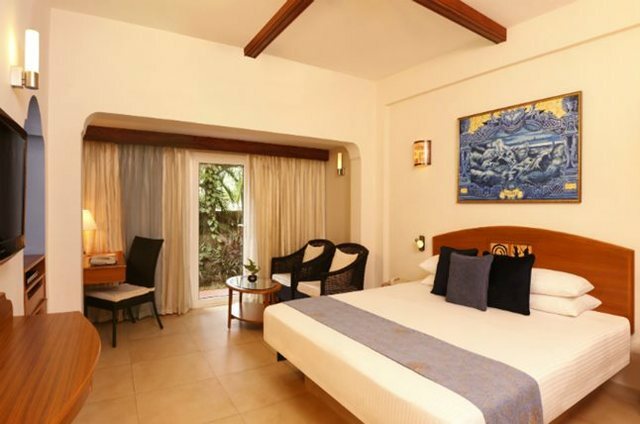 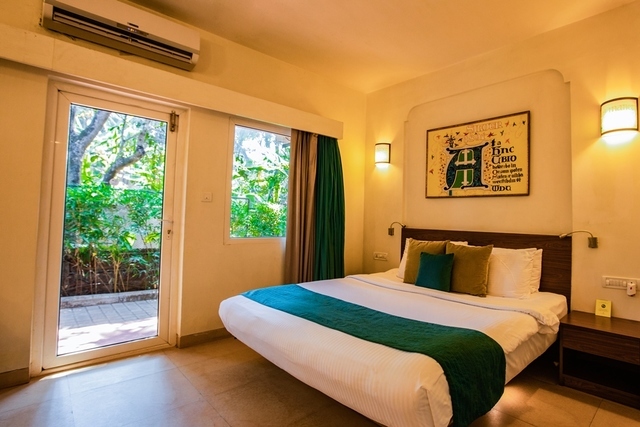 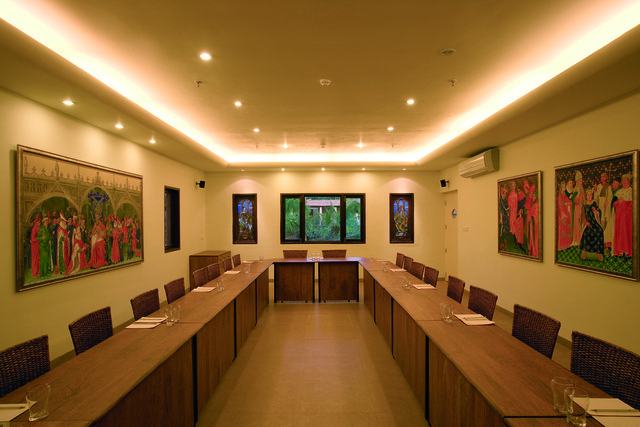 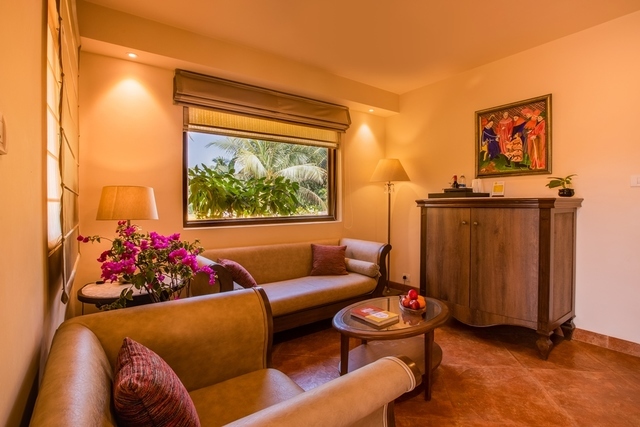 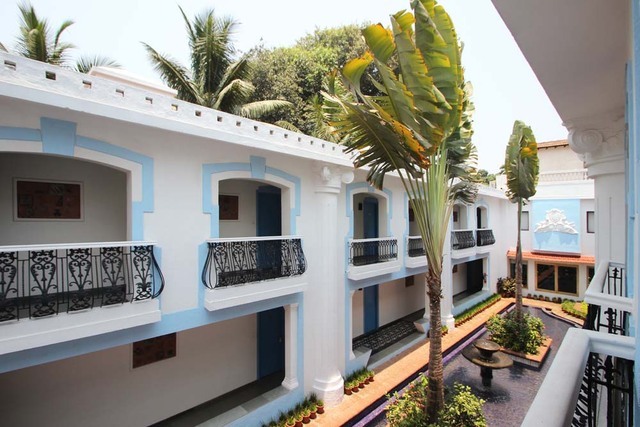 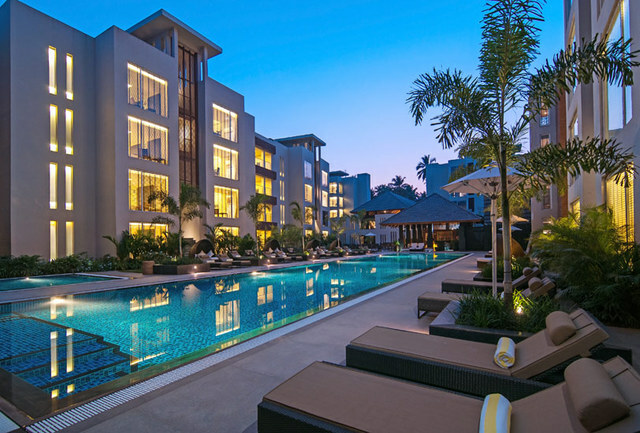 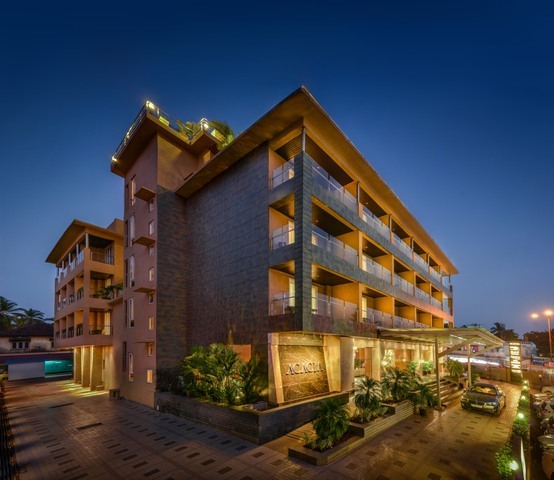 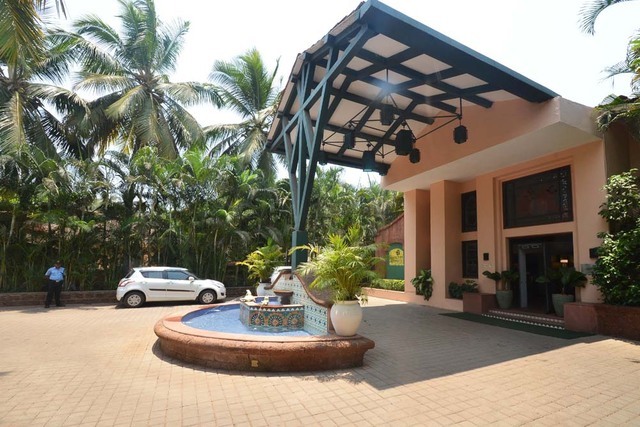 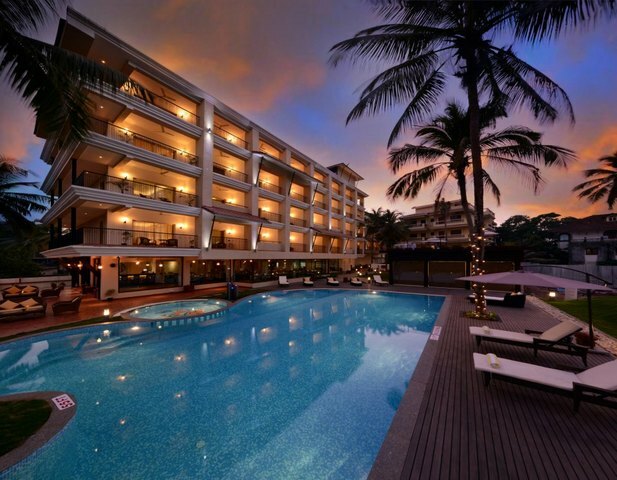 Lemon Tree Amarante Beach Resort is located in North Goa and is at a walking distance from Candolim beach. 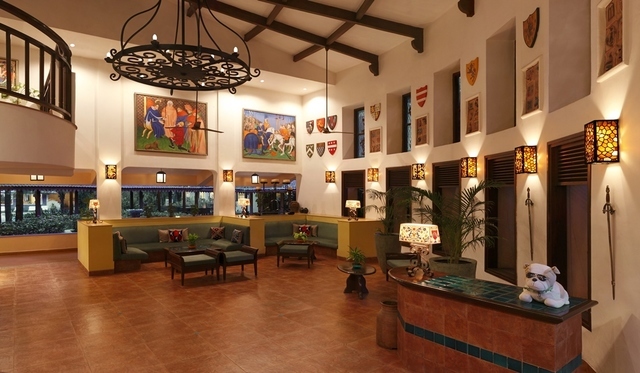 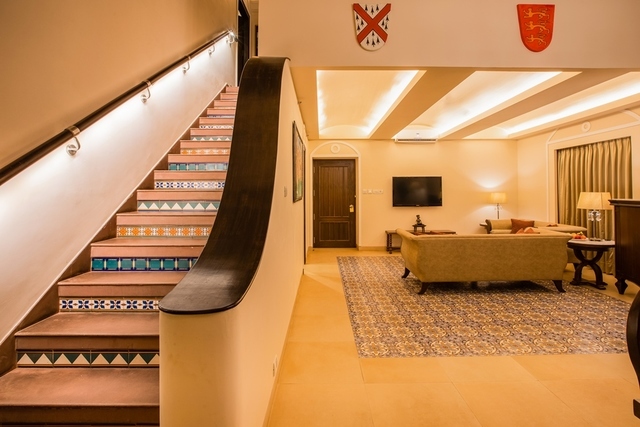 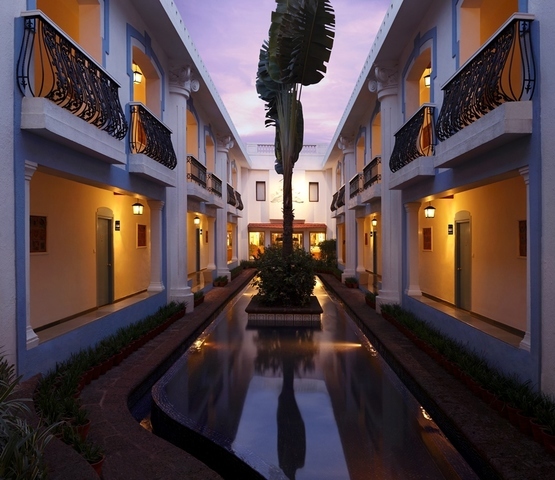 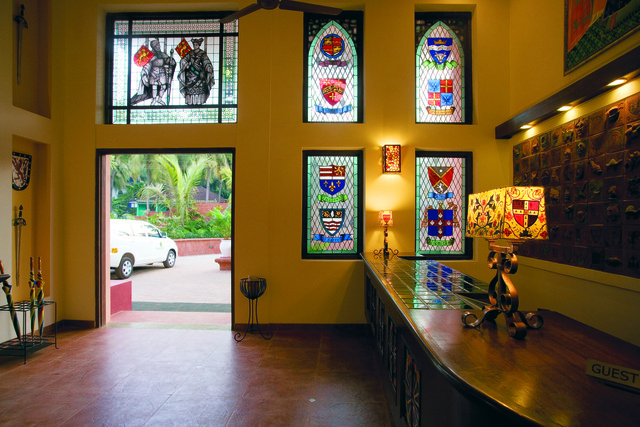 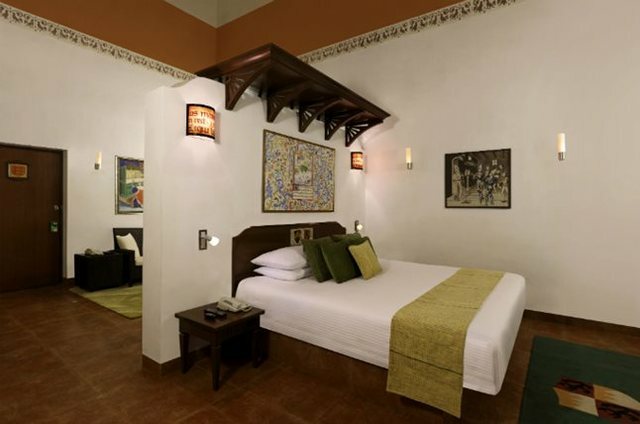 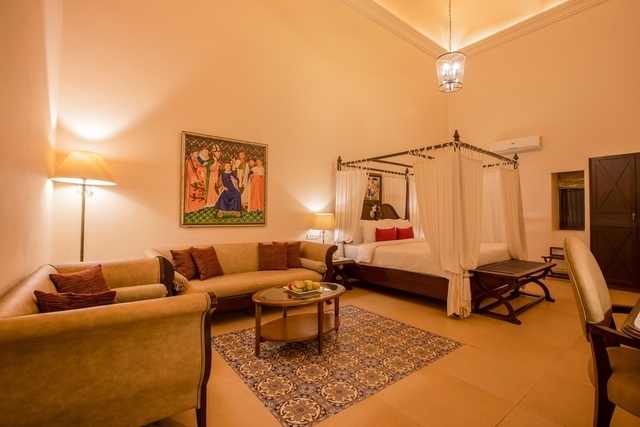 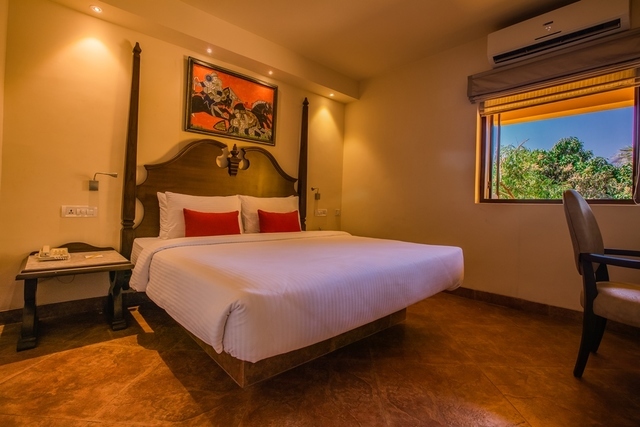 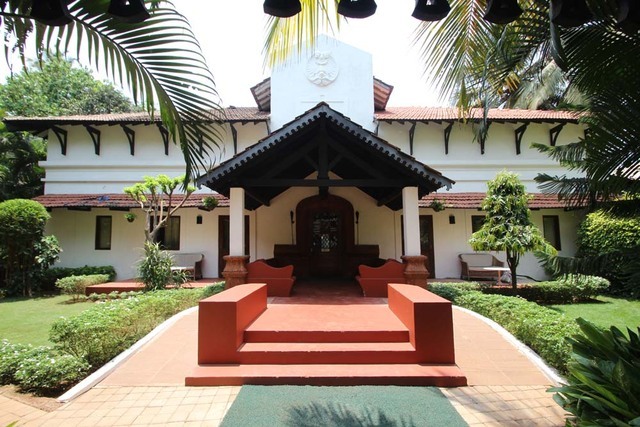 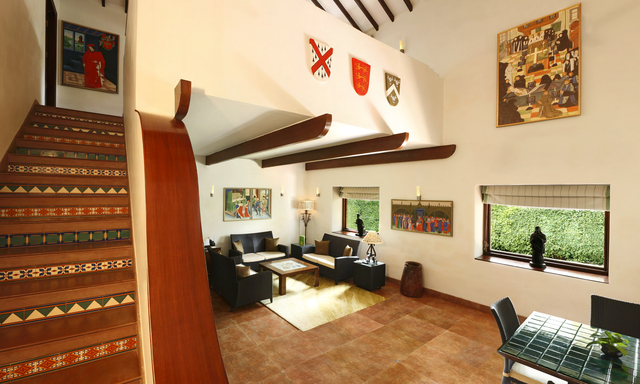 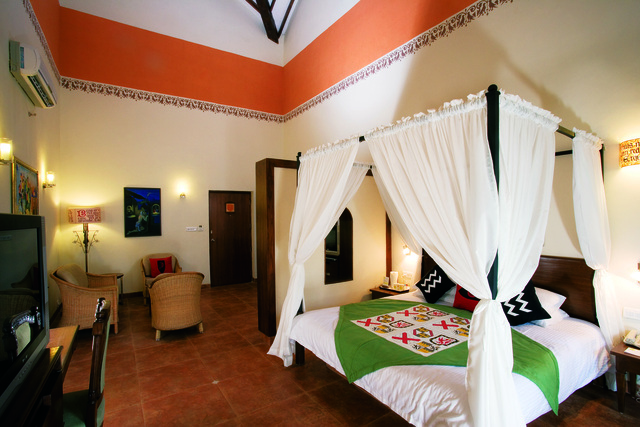 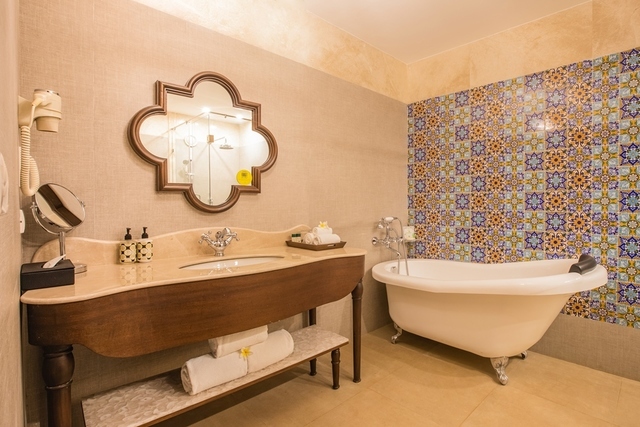 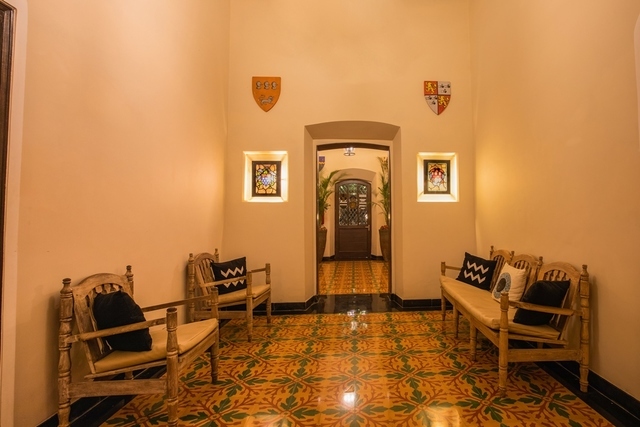 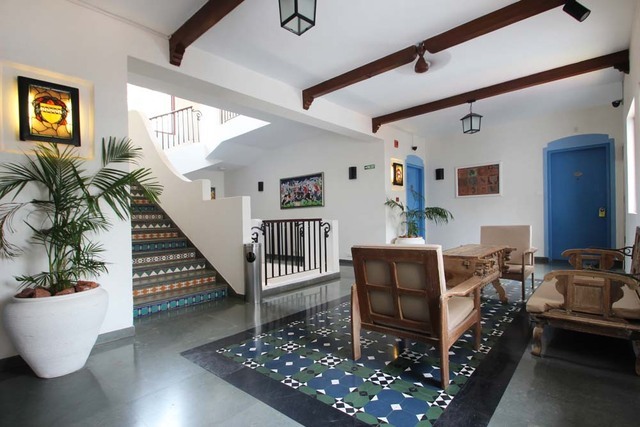 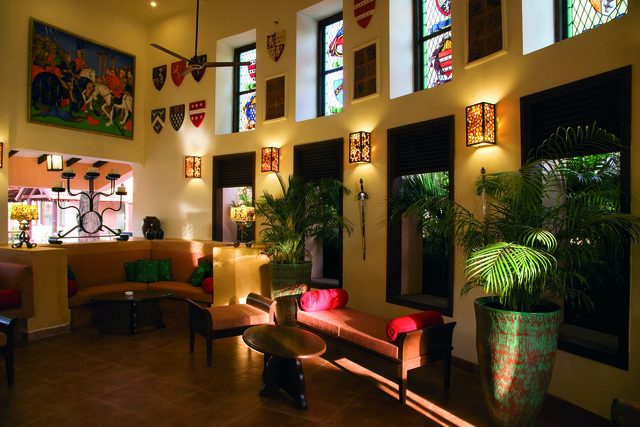 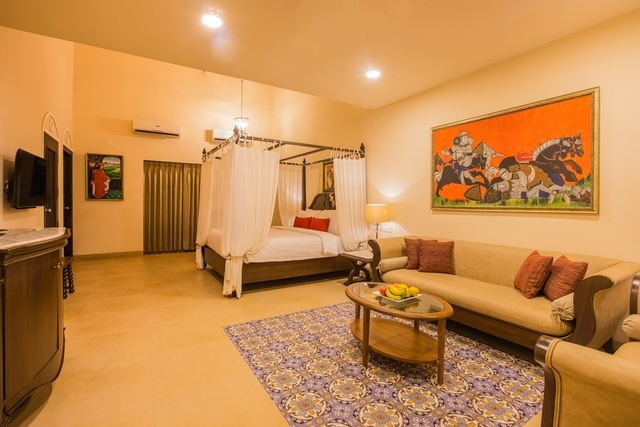 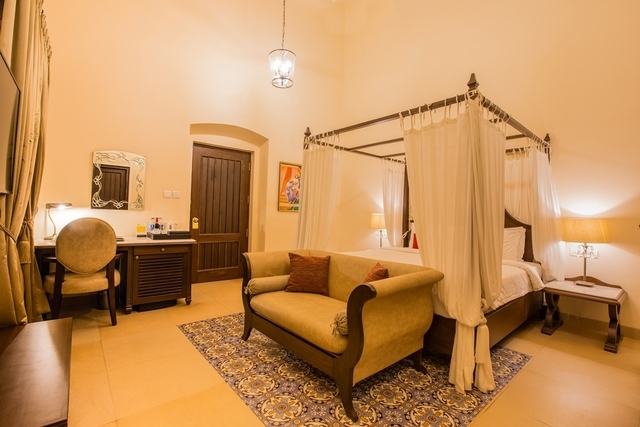 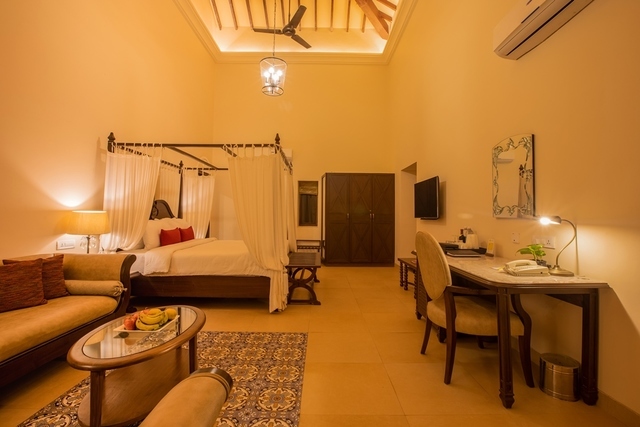 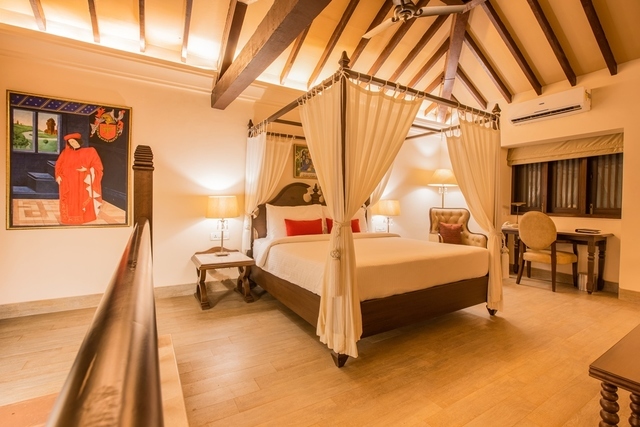 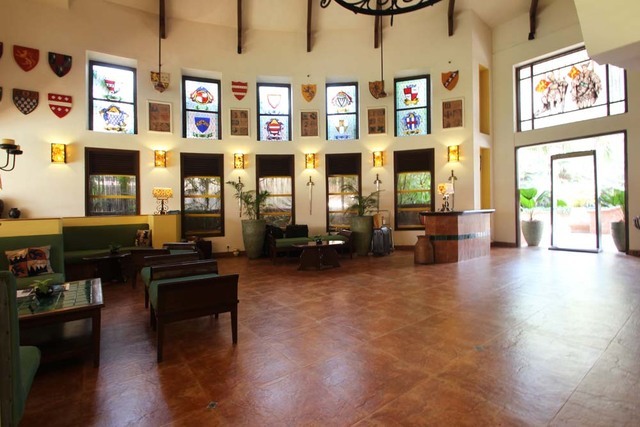 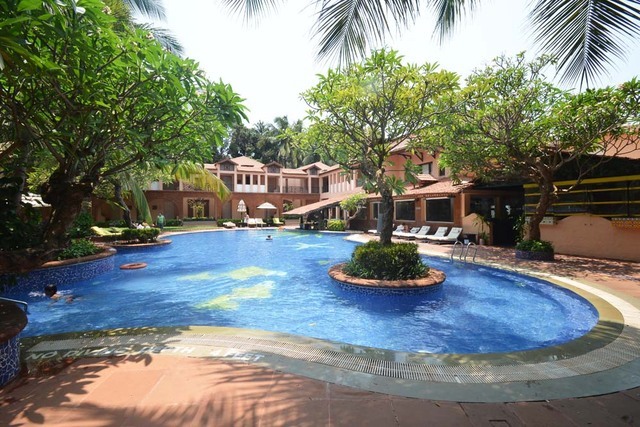 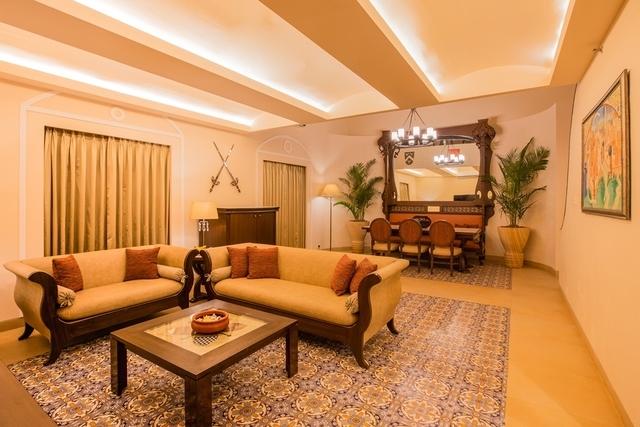 This 4-star luxury beach hotel in Goa at Vadi, Candolim Bardez is designed in a signature 15th century Portuguese-style mansion and evokes an old world charm with medieval paintings, tiles, stained glass, and artifacts. 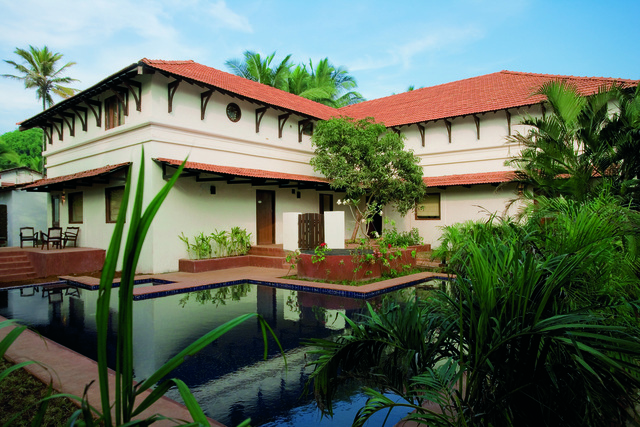 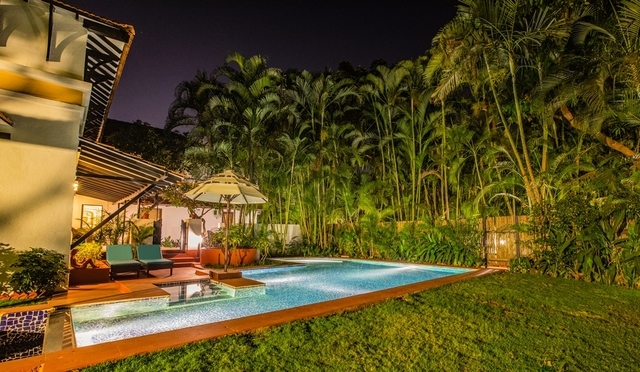 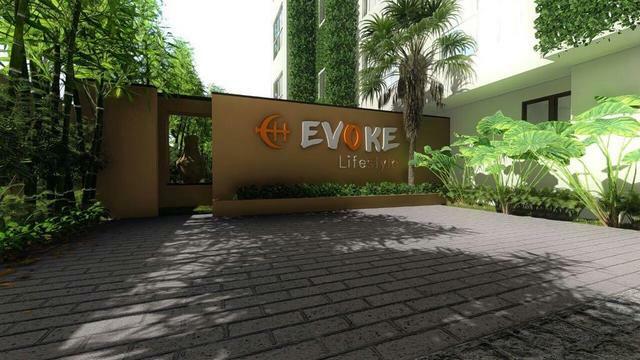 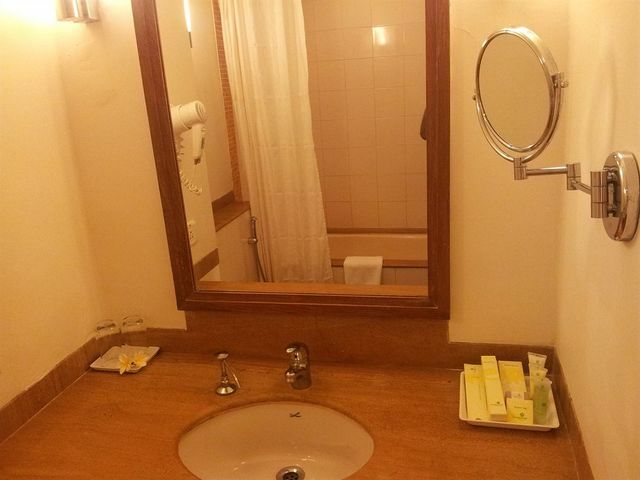 The property is 37 km from the airport and 22 km from Thivim railway station. 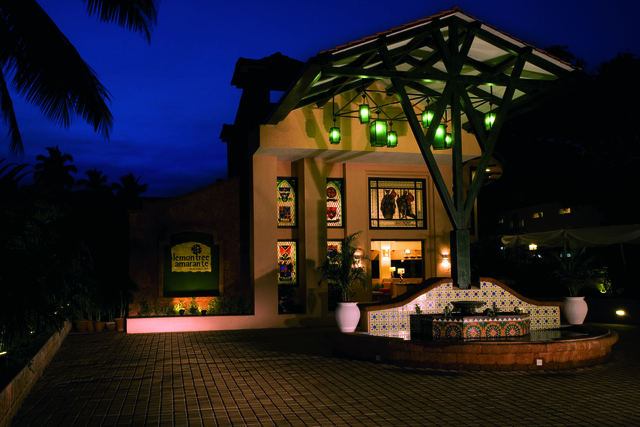 Lemon Tree Amarante Beach Resort boasts of 65 luxuriously designed rooms with six heritage rooms and suites that provide a unique stay experience. 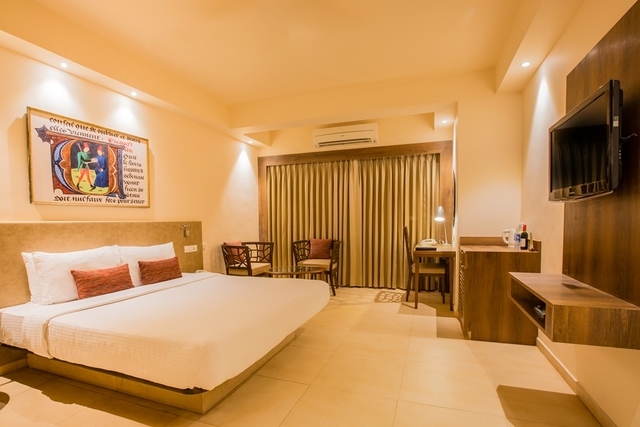 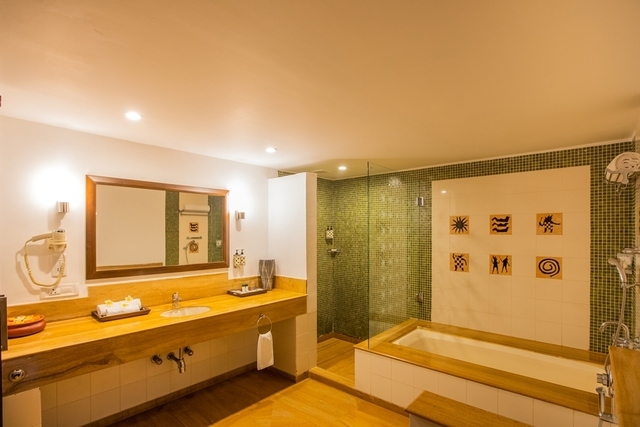 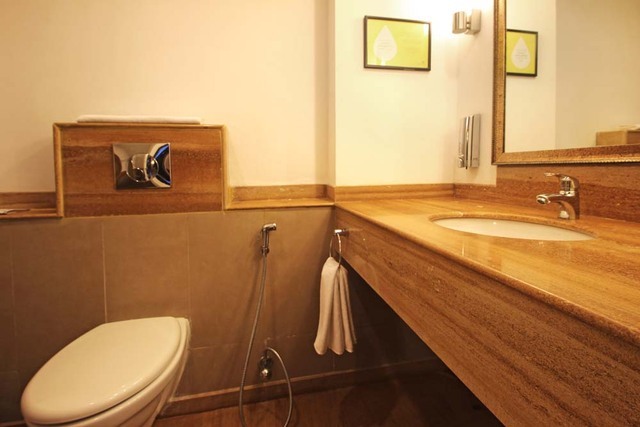 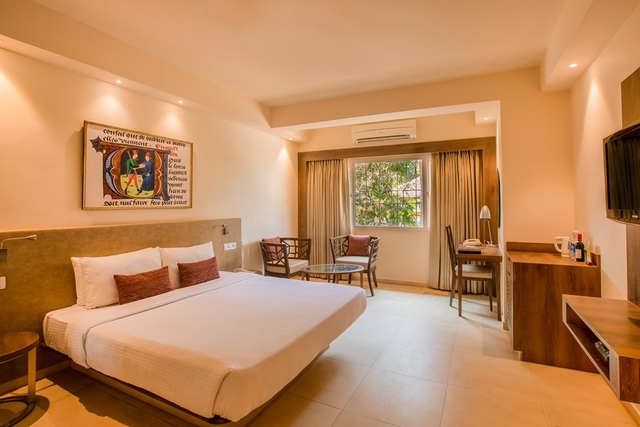 Besides the other rooms are categorised as executive and terrace studio with amenities like LED/LCD TV with DTH, minibar, work desk, tea/coffee maker, electronic safe and attached bath with toiletries. 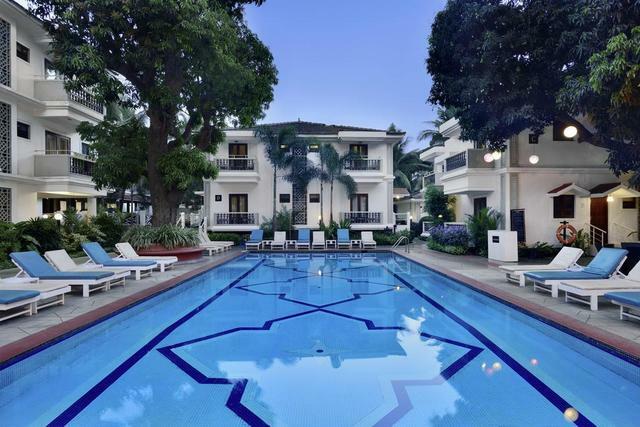 The ground floor rooms have a garden-facing view overlooking the plush swimming pool. 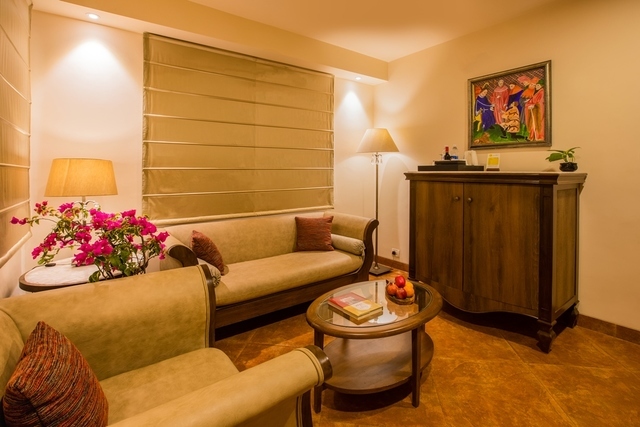 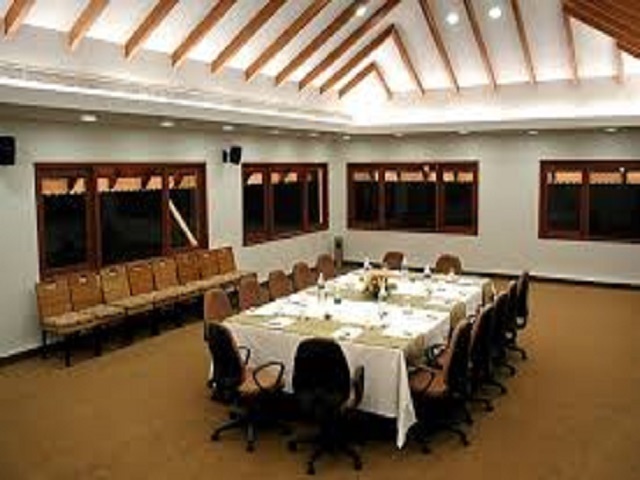 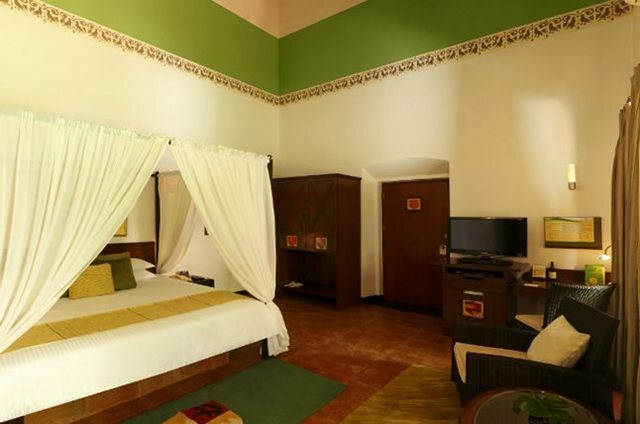 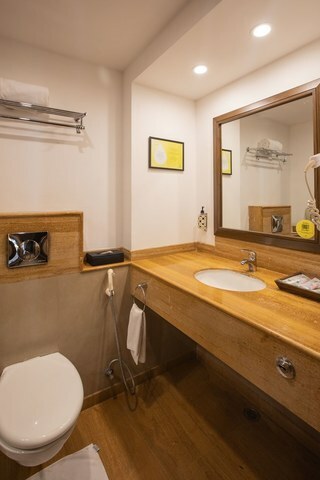 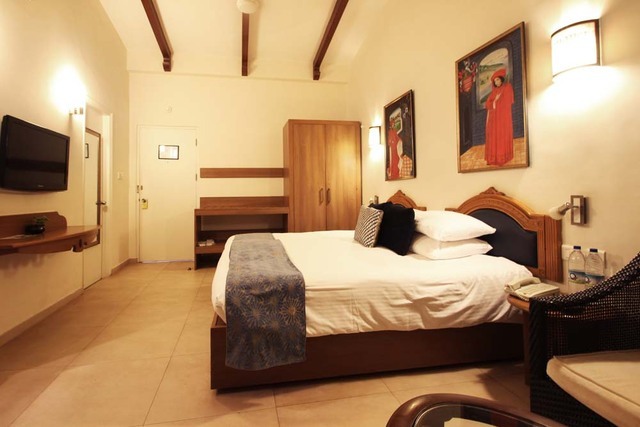 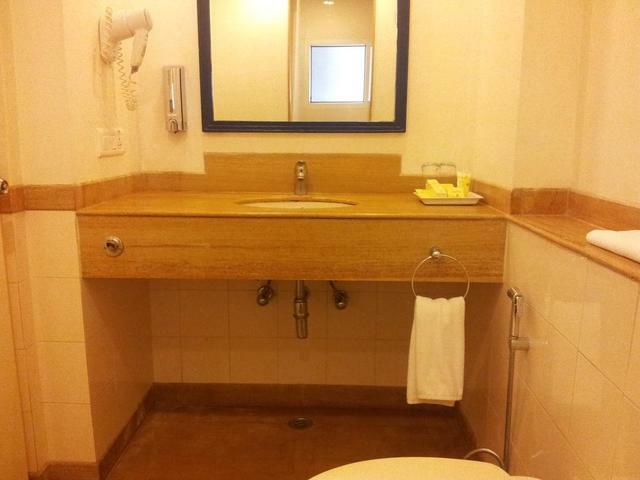 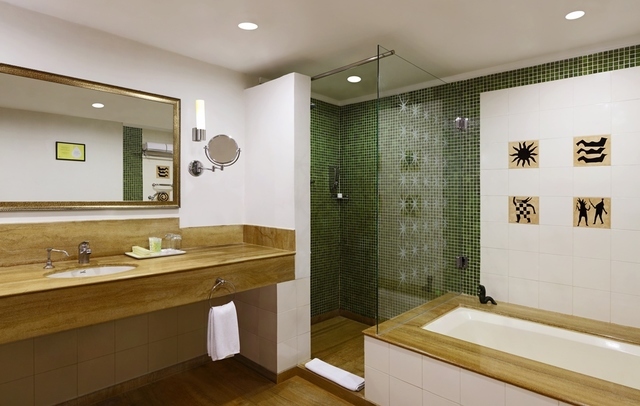 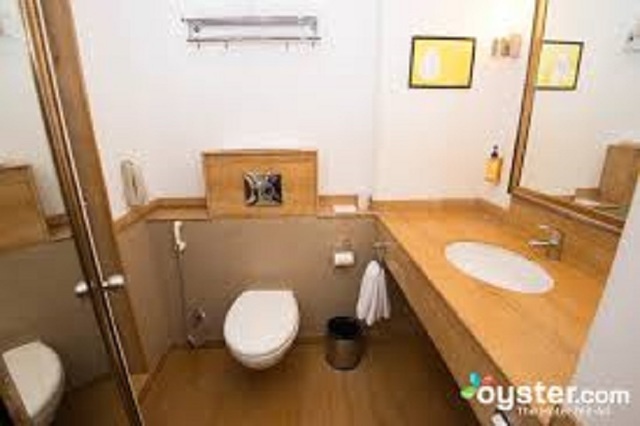 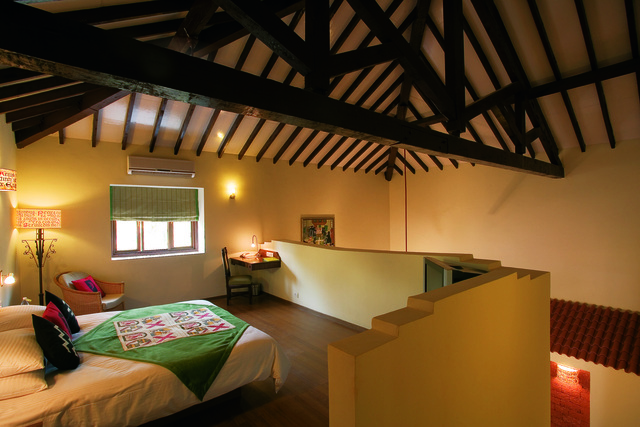 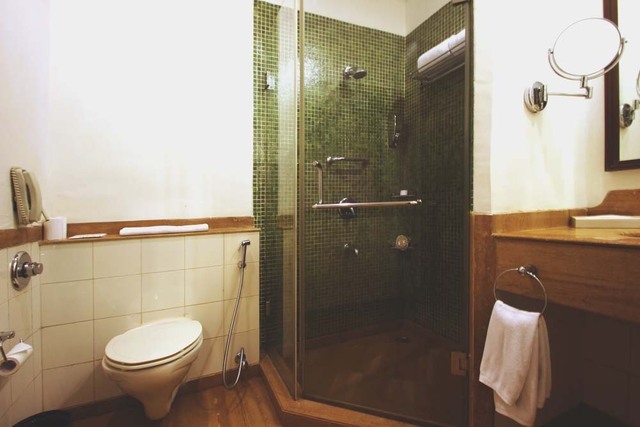 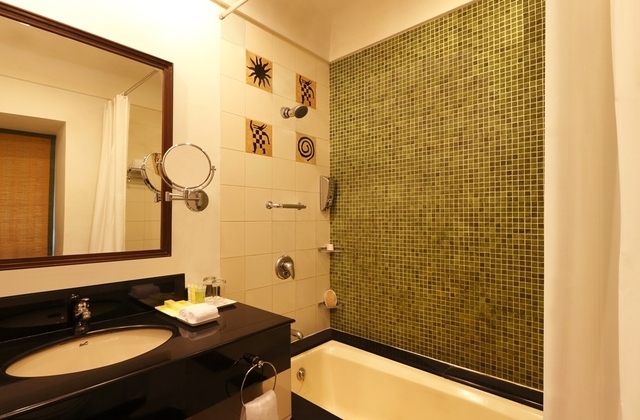 A specially designed room for differently-abled guests is available at this property. 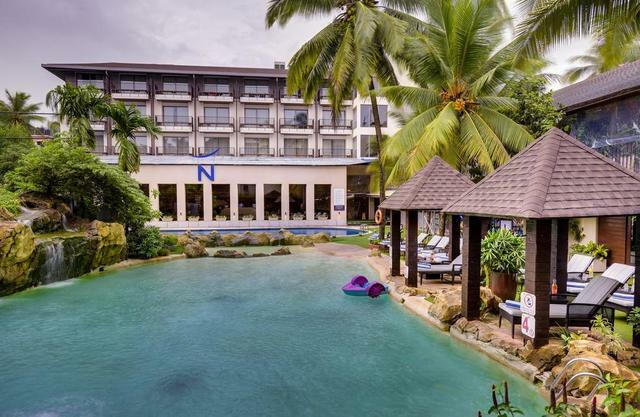 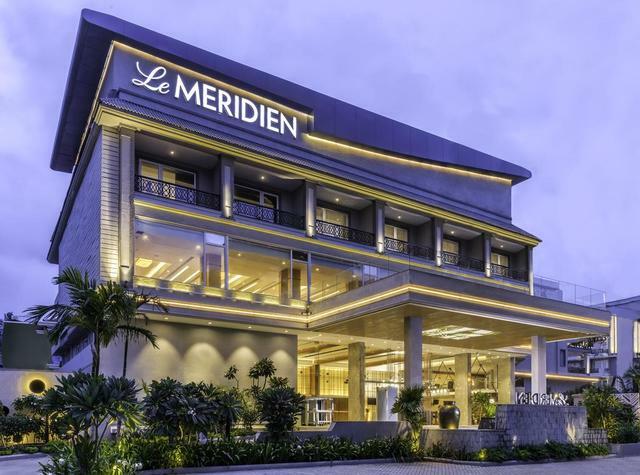 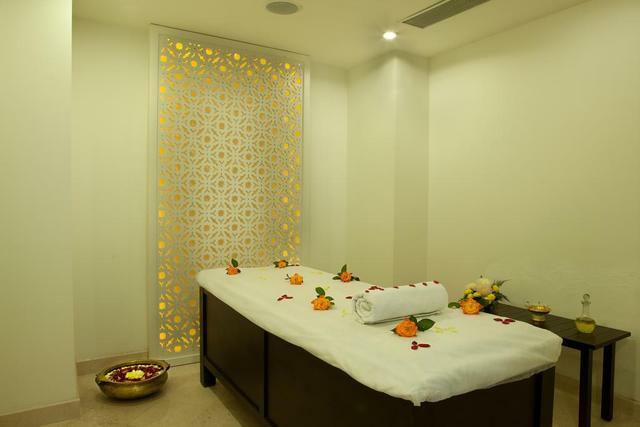 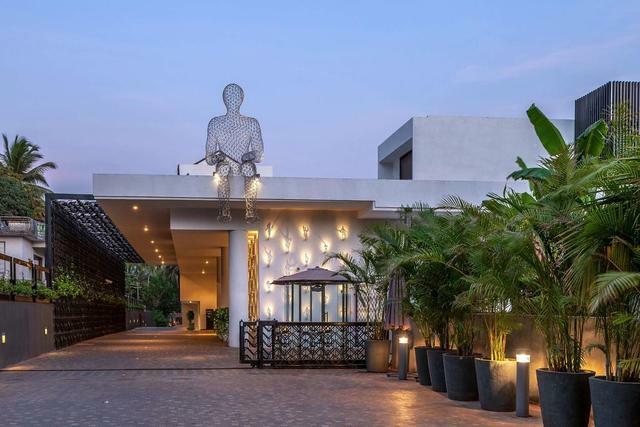 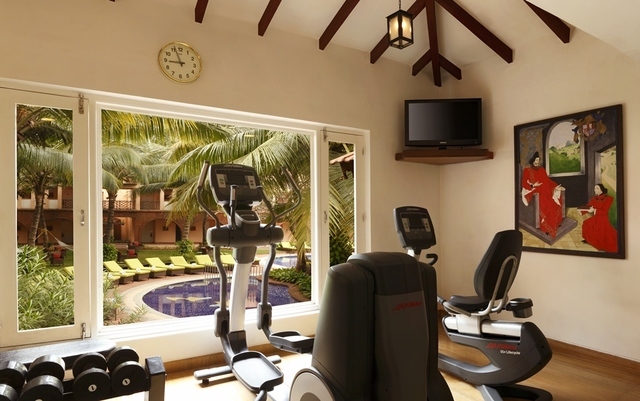 Sun-bathe on the lazy chairs, avail rejuvenating massages at the in-house spa or head over to the gym for a rigorous workout session; there are plenty of recreational facilities at this resort. 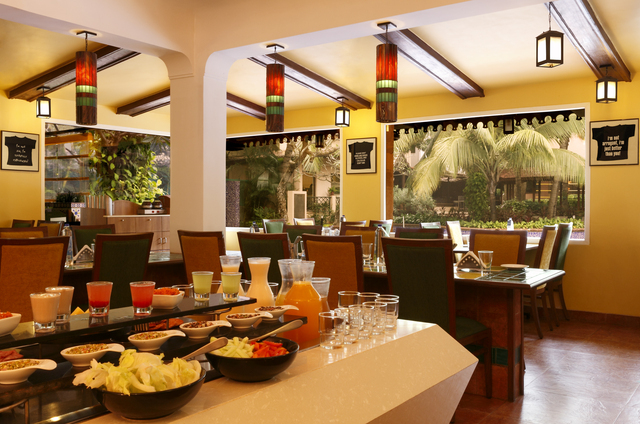 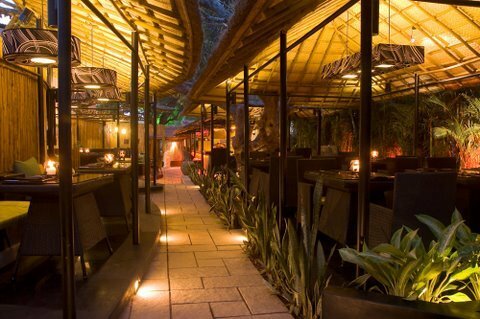 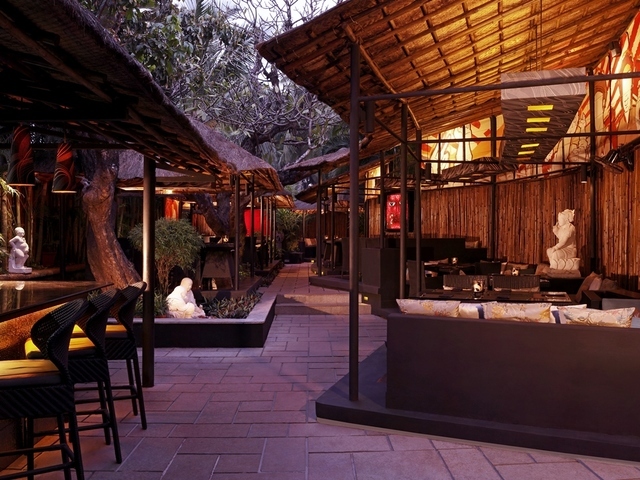 Enjoy an unhurried evening at the hotels Mango Bar with a cocktail of your choice. 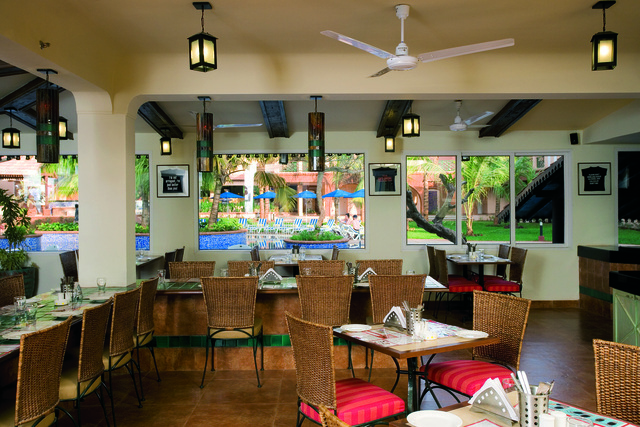 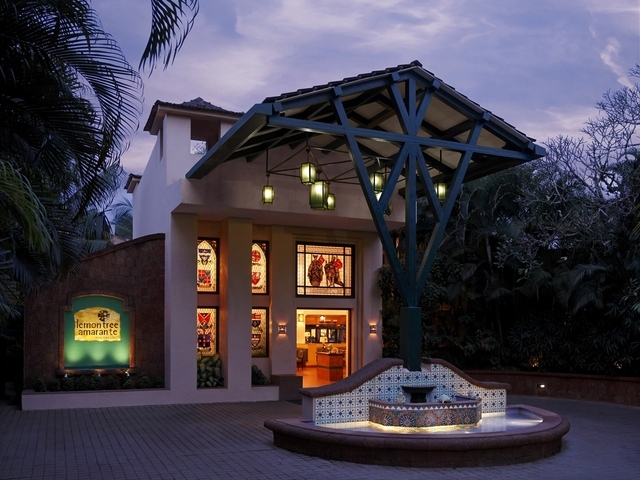 After a sumptuous complimentary breakfast, head out to explore some fun things to do in Goa. 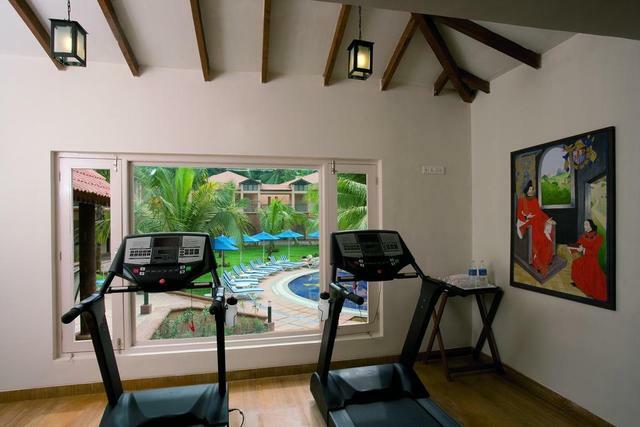 Some adventure activities in Goa include river kayaking, white water rafting, hot air balloon ride, and water sports. 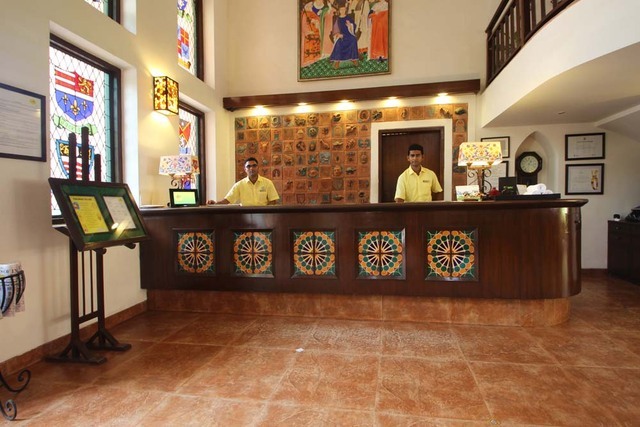 The hop-on and hop-off bus tours are a great way of exploring sightseeing spots in Goa. 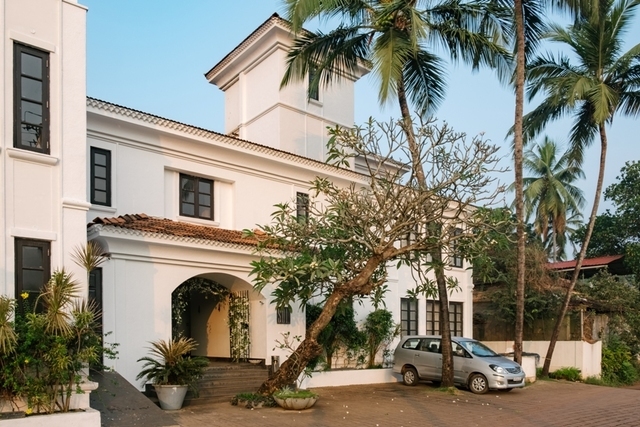 For inexpensive shopping in Goa, head to the vibrant flea markets. 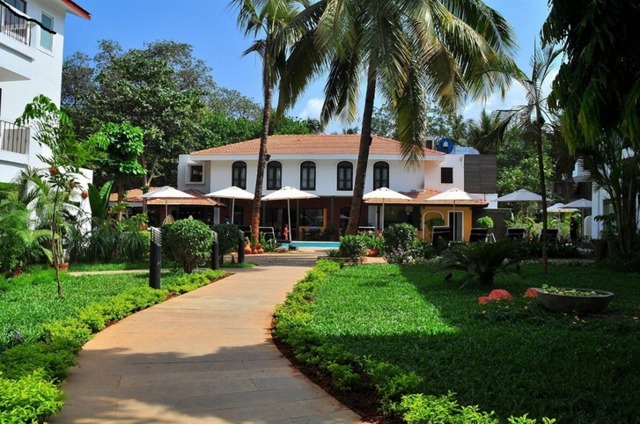 La Plage, Pousada, Thalassa, Souza Lobo, and Brittos are some awesome beach shacks in Goa.